Volkswagen Santana PDF Workshop, Service and Repair manuals, Wiring Diagrams, Parts Catalogue, Fault codes free download!! Volkswagen Santana is a sedan built on the basis of the second-generation Volkswagen Passat (B2). It was first introduced in 1981 and will remain in production (in China) by 2012, after which it will be replaced by a completely different model under the same name. The use of the term “Santana” instead of “Passat” is echoed with the use of different names for the version of the sedan Polo (Derby) and Golf (Jetta). In North America, he was also known as the Volkswagen Quantum. 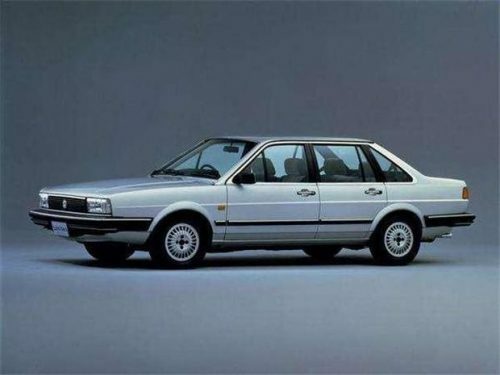 In Mexico, it was named Volkswagen Corsar, and in Argentina it was sold as Volkswagen Carat. In Brazil and other South American countries, he was known as Santana, while the Passat B2 Variant was sold as a Volkswagen Quantum. In Europe, sales under the name Santana stopped in 1985 (with the exception of Spain, where the signing of Santana was preserved), and the car began to be sold as Passat. European production ended in 1988. In October 2012, China introduced a new generation of Volkswagen Santana, a completely different model that was created on the SEAT Toledo 4th Generation and Škoda Rapid units, however, unlike the latest Santana, it received a sedan body. In 2015, the debuted five-door hatchback called Volkswagen Gran Santana.